When you contact Kaspersky Lab Technical Support, the engineer may request the full version number of your application. 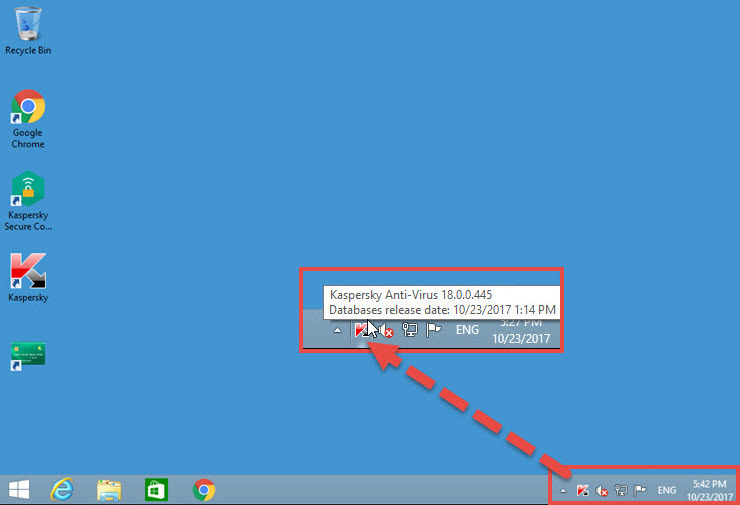 To find the full version number of Kaspersky Security Cloud from a pop-up hint, move your mouse pointer over the application in the bottom-right corner of the screen (the Taskbar notification area). 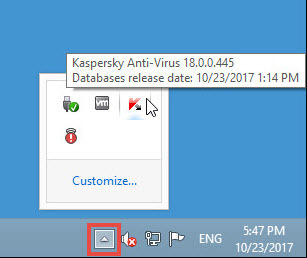 Product name (Kaspersky Anti-Virus 2018). Full version number (e.g. 18.0.0.405). Database release date (e.g. 21.08.2017 11:54 AM). If the icon is hidden, click Show hidden icons, and then move your mouse pointer over the application icon.